Straight from the guru himself, Dr. Weil offers this advice for those of us who may overindulge this holiday. (Notes in italics mine). Good night and God Speed. Moderation is the best way to avoid hangovers – make sure to pace yourself. Eat food if you have more than a drink or two. Avoid dehydration (and cut down on alcohol intake) by drinking as much water as possible while you’re drinking alcohol. Take a B-complex vitamin supplement plus extra thiamine (100 mg) to counter the B-vitamin depletion caused by alcohol. Choose beverages that are “cleaner.” Some distilled beverages are rich in substances called congeners – toxic impurities that can greatly add to your woes. Bourbon, rum, and cognac are particularly dirty, while vodka, being just pure alcohol and water, is the cleanest. Thanks for stopping by! Cheers to a happy and healthy 2008! 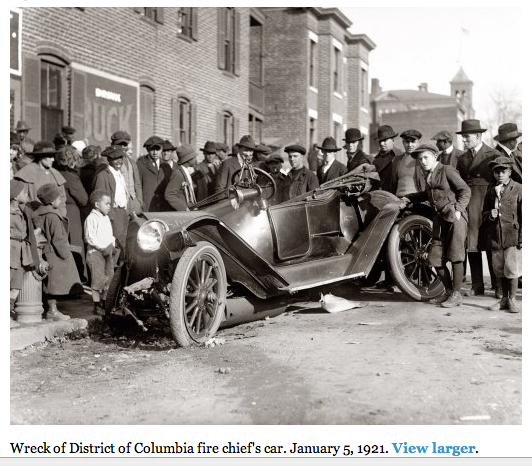 The New York Times is a running a nice audio/manual control slideshow of their year end edit. I like it b/c you can motor through the photographs at your own leisure, and because it is full screen. I refuse to watch 2×3″ boxes of photo/video on the internet. I’m biased, but Stephen Crowley is for me, a very creative and surprising political photographer, probably because he loves the original idea of politics, before pollsters and the political-industrial complex. He also does a nice job narrating through two sections- Washington, and the U.S. Presidential Election. 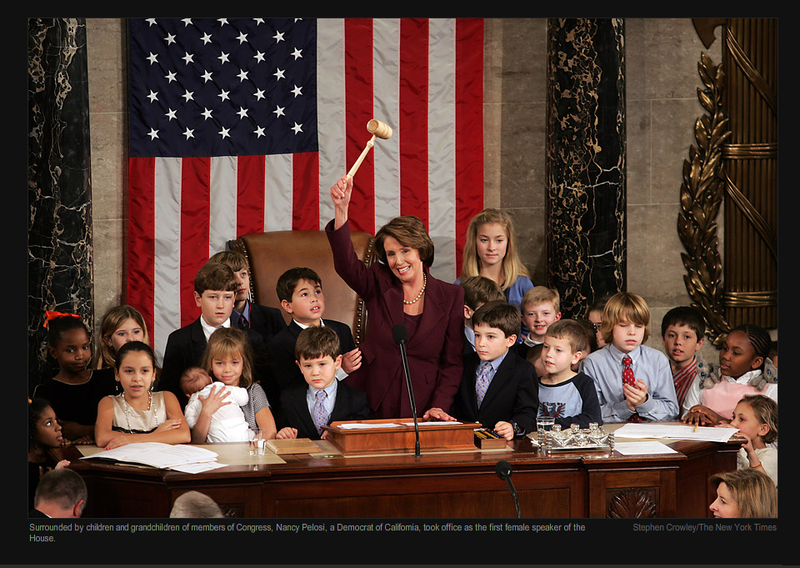 In the Washington section, does anyone else see Pelosi in the Speaker’s chair as surrounded by members of Kid Nation and Big Love? (For the record, I haven’t actually watched those shows, just read some reviews in the WaPost.) Not that I think SDC was referencing that, as he did not even realize that the photograph (a few pictures later in the slideshow) he took of photojournalists in the well during a Senate hearing, was solely comprised by female photographers, though I’ve heard done tell that the Times is in licensing negotations in conjunction with the Women in Photojournalism annual conference. I’ve heard at least one vote for the A.P. photographer John Moore picture, of the young woman grieving in Arlington Cemetery for the Pulitzer feature contender. I had no idea what picture the person was talking about when mentioning it, but I knew it the moment I saw it. In the Presidential Election category, freelancer Eric Thayer creates a nice body of work. The Foreign section is heavily dominated by China, and Chang Lee creates some surprises. I’m esp. jealous of his access to the drunken dance Elmo dolls in production. to bring best birthday wishes to The Rough-Tough Cream Puff, himself, the one and only, Patrickini-Weenie-Beenie. Happy 31st Birthday Keeners! A set of Incredible Hulk underoos are on their way to you! Just got this roll of 35 mm film back from my Olympus Stylus point-and-shoot (I’m loving that red-eye, it’s so Terry R). Seeing it reminds me of a project idea I was brainstorming with Darrow Montgomery earlier last month. 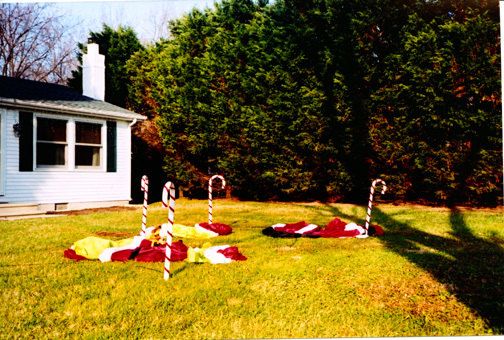 We were remarking how our film cameras were so underutilized that we would often find a full years worth of family events on one roll: Christmas, Easter, birthday parties and anniversary crystallizing in 36 moments. I thought this would be a great project to document your family through one roll of 35mm in one camera over the course of the year. Then present each year in the form of an enlarged contact sheet. 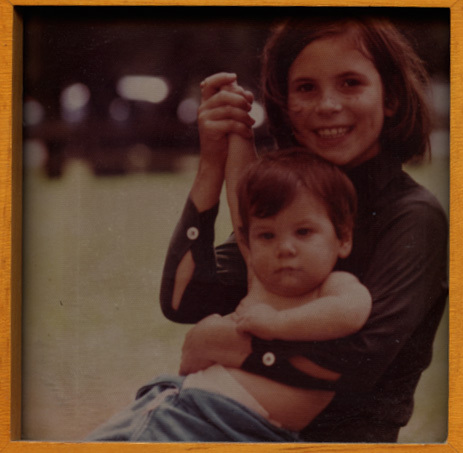 Kind of like Nicholas Nixon but with more variation and serendipity. It will only take you twenty years to have a book, and it won’t be so labor intensive that it won’t free you up from pursuing other paying jobs projects. The White House always has a tough time getting the pencils and other news types out of the residence (the scribe/still photog party begins at the unGodly hour of 4.30 [hello – deadline!] whilst the satanic television tribe has a more respectable 6.30 pm start). If you’ve ever tried to get in the mood to stuff lamb chops and chicken fried steak (i kid you not) down your gullet at a quarter to five you will see my dilemma. Luckily the alcohol in the egg nog does stimulate the appetite. As an aside, I am sure there are those of you who are thinking, “How can she even enter that den of iniquity, the Bush White House?” Without going too much into it, let me just say that close observation of the machinations of Washington has made a cynic of me. I believe in our democratic process, but just a little bit, in as much as I’ve visited many countries and found their systems with as much if not more egregiousness in it as I’ve found in the U.S. But I’d say that the majority of national politicians are useless, our political system sorely in need of updating (uh, electoral college anyone?) which our founding father’s allowed for and even anticipated, but our literally-minded and duly-elected folks don’t want to aggravate their districts or loosen their stranglehold on our legislative gridlock to affect one iota of change. It works on both sides of the fence. If George Bush is a bad man, I daresay he would have remained an excellent baseball manager. And for this, I say, we have only ourselves to blame.I have seen the enemy and it is us, and I really don’t like discussing politics, because I find that most people don’t want to have a dialogue, they just want to tell you what they think. That being said, Judge no man by his Chicken Fried Steak, lest your Chicken Fried Steak be judged, is my motto. (Even though, to clarify, I do not waste my time or the taxpayer’s dollar with the consumption of Chicken Fried Steak). 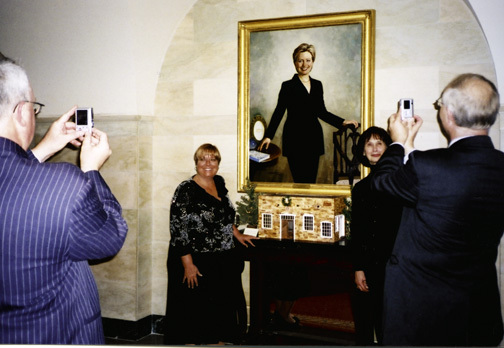 So, the funniest part of the evening was watching the cluster around the Hillary Clinton First Lady portrait in the basement of the residence (also known as the exit). There were pretensions of decorum, but basically a low roar could be heard echoing around the basement, where many first ladies noble visages’ are displayed. Nancy Reagan, uncomfortably close to the good Senator HRC, was virtually ignored, as throngs of unbiased press and their families gathered around the Yuletide Hillary, leaving me wondering,”Does this spell trouble for Obama in the heartland?” Then reason prevailed, and I remembered that the media has no clue is only making educated guesses about what goes on in the heartland, and it’s ridiculous to speculate at this point of who the front-runner might be. That said, I think that in politics, as in high school, you just don’t want to peak too early? 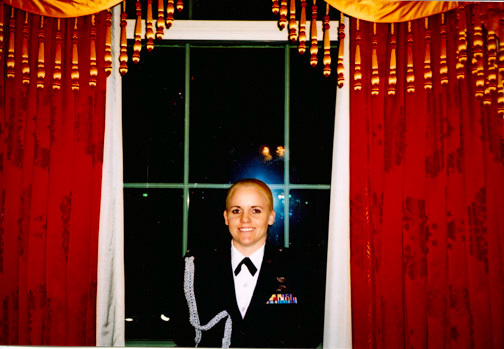 I guess the Red Room is my favorite room of the Residential White House. When I was a child I had a book about the First Ladies, with their portraits in it. Martin Van Buren was a widower in the White House, and his daughter-in-law acted as his hostess. The oil portrait of Angelica Singleton Van Buren, mesmerized me, she stood out from the more matronly FLs (Dolley Madison was not presented to best effect – and I loathe the Jackie Kennedy portrait). It was at this time, coinciding with my learning to play yankee-doodle on my ukelele, that I also first enjoyed wearing feathers in my cap. 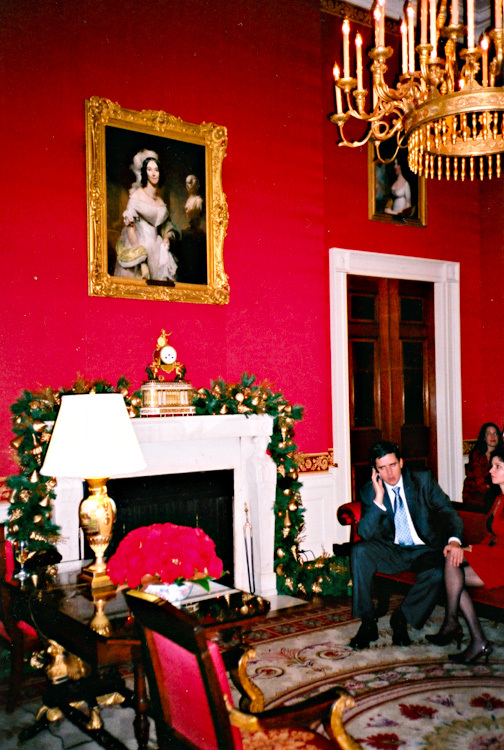 Angelica appeared all youthful and ethereal grace, in direct contrast to the guest talking on his cell phone in the red room pictured below. Can you hear his conversation now, “Mom, guess where I am?” Though knowing Washington, it was probably just a call to an editor to clarify what is is. I like the jaunty hand on the knee, though. A bold public statement in the Red Room. Well, it ain’t ArtNews, but I’ll take it. 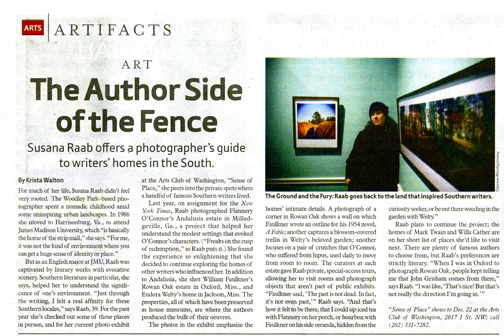 The Washington City Paper recently profiled me in conjunction with my Sense of Place exhibit at the Arts Club of Washington. 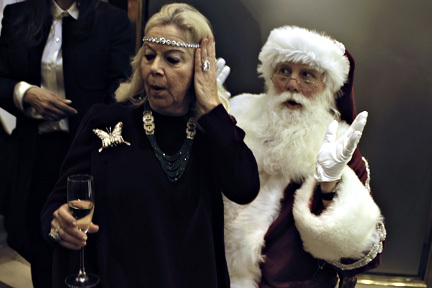 Preservation writer extra-ordinaire Krista Walton had the difficult tax of coaxing a coherent comment out of me, and Washington street photographer legend Darrow Montgomery took my photo. You can read it online here. Good times! I’m sure these are no-conflict diamonds. “I want to wear it just like Cleopatra,” she said. Listening last night on a great piece by NPR on cult musician and publicity recluse Jandek. You can follow it here. Some readers might think that I have these very polyanna views about making art, and existing inside the vacuum, and if you get tons of success you are just a sellout. This is not exactly true, my point is more that accolades are fantastic, but making work that comes from your heart is really the most important thing. So just go on and do it already. I’ll settle for big in Japan.